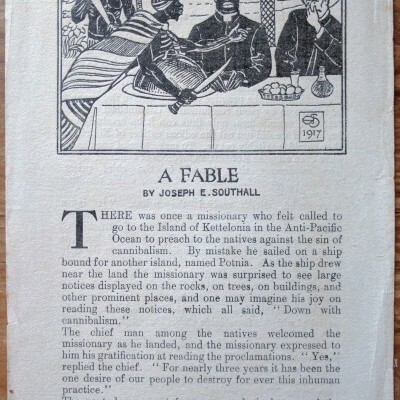 Southall, Joseph E. A Fable. Manchester, UK: National Labour Press, . Handbill, 8-1/2 x 5-7/16 in. ; printed recto and verso, toned, edges feathered, very good. A satirical antiwar fable written and illus. 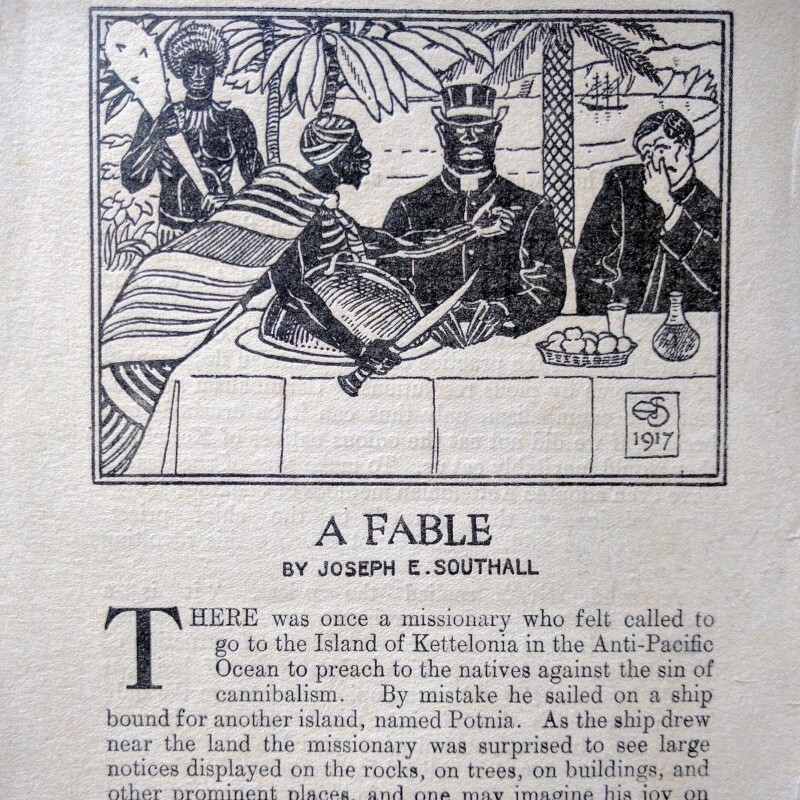 by the pacifist and Arts and Crafts artist, Southall; a later version was titled “The Missionary” and bound with similar stories in the 1918 collection, Fables and Illustrations. Southall’s early work was encouraged by John Ruskin; eventually his antiwar activism superseded his art.